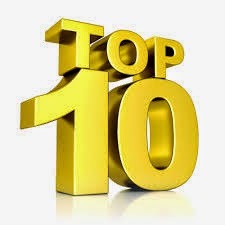 Now it is the time to discuss top 10 mutual funds SIP to invest in 2016. Last year I choose only Indian funds in this top 10 list but now I think any one can diversified his mutual fund holding globally. So in my 2016 top mutual fund schemes list I include top 10 Indian mutual fund schemes which invest in India and abroad. How I choose top mutual fund scheme? 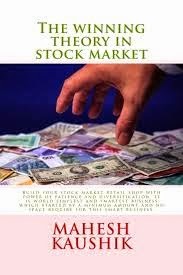 :- As you read in my book (The Winning Theory in Stock Market)that size of AUM is a best criteria to choose a mutual fund scheme. What is AUM:- AUM means asset under management I give you a example if fund X corpus is 100000 rupee and fund Y corpus is 500000 rupee then which fund have better chance to diversification I think it is fund Y have better chance of diversification due to It's large AUM size.
" It is difficult to earn 100 rupees from 100 rupee investment but it is easy to earn 1 Cr. from 1Cr. rupee investment. So I give these top 10 scheme on basis of fund AUM and Diversification globally. ( as well as diversification among fund houses so I do not repeat any mutual fund company in this list). How to invest:- If you easily save INR 10,000 in every month then Start a 1000 rupee SIP in each of scheme. If you want to invest INR 1000 every month then start SIP only in scheme 1 . If you want to invest INR 2000 every month then start 2 SIP (1000 each) in scheme 1 and 2. If you want to invest INR 3000 every month then start 3 SIP (1000 each) in scheme 1,2 and 3. If you want to invest INR 4000 every month then start 4 SIP (1000 each) in scheme 1,2,3 and 4.....and so on. Dividend reinvestment Vs Growth option in mutual funds. 1.HDFC Equity Fund (D):- NAV 42.08 pay regular dividends since 1999 largest AUM diversified equity fund. namaskar maheshji, china advantage fund not paying dividend since inception, still is it worth investing ? Why you have chosen all Ten as Dividend funds not as growth option?